Our Bistro offers a friendly and relaxed atmosphere. We endeavor to provide the finest locally sourced ingredients, prepared to the highest standards. So much time and thought goes into our seasonal Brasserie menus; bursting with locally caught fish, meat and vegetarian dishes, we can guarantee to meet the requirements of any appetite. We are more than happy to cater for any special dietary requests and are also child friendly. Alongside our main menu, we serve our daily specials using fresh local produce. If you don't have room for a main meal, pop in any time for coffees, cakes and treats in the bar. Every order sent to our kitchen is freshly prepared with our specials board changing daily to ensure the best use of seasonal produce. Having many original features, a warm cosy atmosphere and not forgetting the breathtaking views, a visit to ‘The View’ Brasserie is sure to blow you away with its quality and charm. 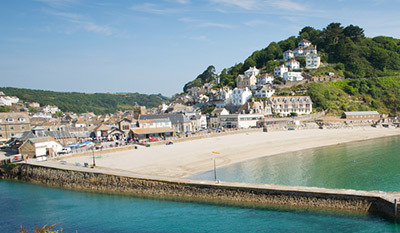 The Hannafore Point Hotel & Spa offers stunning panoramic views across Looe Bay and the unspoiled Cornish coast. The Berry Head Hotel is a Dog Friendly 3 Star South Devon Hotel offering unique accomodation near Torquay for Holidays, Short Breaks and Business Stays. The ideal location for a coastal South Devon Wedding near Torquay.